Conveniently located in Shrewsbury, New Jersey. Dr. Brent Kaiser offers his patients the very best in Chiropractic Care, Physical Therapy and Massage Therapy. 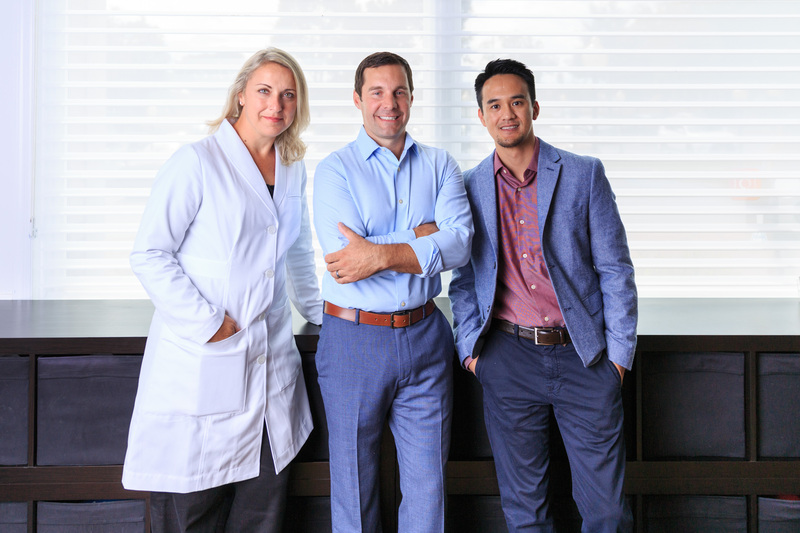 Dr. Kaiser is dedicated to creating a healing environment unique to his patients needs. All patients needs are different. The services at Kaiser Therapy Offices are extensive to make sure you get what you need but more importantly what you want. Our office is dedicated to providing you with the treatment that improves your health as quickly as possible. If you are new to our website, please feel free to discover and learn about Chiropractic Care, Physical Therapy and Massage Therapy. If you are interested in starting your journey towards wellness, please subscribe to our newsletter. If you are already a newsletter subscriber, please explore the member wellness section of our website for wellness articles, resources, and health facts---specifically targeted by Dr. Brent Kaiser to your wellness needs and interests. We have doctors, physical therapists, nutritionists, massage therapists and trainers all working together in one location for you. We really believe in options for our patients! We believe in giving you the best options! We also believe in giving you the best referrals if our options don't suit your condition! We believe in education! We educate our patients. "A patient that is well educated on their condition will generally make better decisions surrounding their care. The result is less time, energy and money spent on their recovery." We continually strive to give patients what they want. As a patient you should be the expert and the final decision maker on what you need. Many of our patients love chiropractic adjustments. Some of our patients are hesitant or nervous regarding chiropractic care. Many of our patients love the stretching and passive modalities such as ultrasound, cold laser and electrical muscle stimulation performed by our physical therapists. Some patients don't have time for physical therapy and simply want a quick adjustment. Many patients feel like Acupuncture helps them more than all the other offered treatments combined. Some patients are scared of "needles" and would never try Acupuncture. Some patients just want a relaxing or deep tissue massage. And some patients want it all! Whether it is a quick fix to get you back to work or a full rehabilitation following a knee or shoulder surgery, we can accommodate you! Our office is equipped with the latest technology and equipment to give you the best opportunity to get better as fast as possible. Our services are comprehensive and should be the first option in your treatment of musculoskeletal pain and stiffness. All of our services fall under the description of "Conservative Treatment". We follow the "Golden Rule" of first and foremost "do no harm". Our practitioners expect fast results but we refuse to put a patient's well-being at risk under any circumstance. 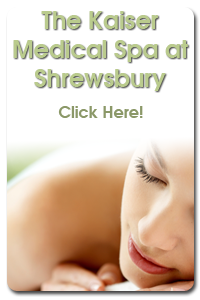 We do not consider our treatments to be "Alternative Treatments". We are happy to work directly with your medical doctor or surgeon. We all believe it is in our patient's best interest to have all their doctors communicating and working together. We take "walk-in's" and "call-in" appointments. If you have an appointment, we will see you promptly. Our office organization respects your time! We want your visit to be as convenient as possible. Our staff will always greet you with a smile! We all love our jobs/careers. We like each other. We work really well together. We enjoy helping people. It is an honor to do what we do every day. Plus, we have fun doing it! Dr. Brent Kaiser has been a licensed chiropractor since 2002. Dr. Kaiser was not born and raised in New Jersey but he and his wife, Kimberly, love the Jersey Shore and are proud that their baby girls, Samantha and Madison, and son, Chase, were born in Red Bank. Dr. Kaiser was born in a small town known as Santa Claus, Indiana (yes...there is such a place!). He attended Heritage Hills High School where he graduated with honors, served as President of the Student Council and was an All-Conference athlete in football, basketball and track. Dr. Kaiser completed his pre-requisite undergraduate studies at Indiana University studying Biology, Chemistry and Psychology. He graduated with his doctorate degree from Life West Chiropractic College in California in December 2002. "I had one session with him and now I very rarely suffer from headaches anymore. It was nothing short of a miracle!"